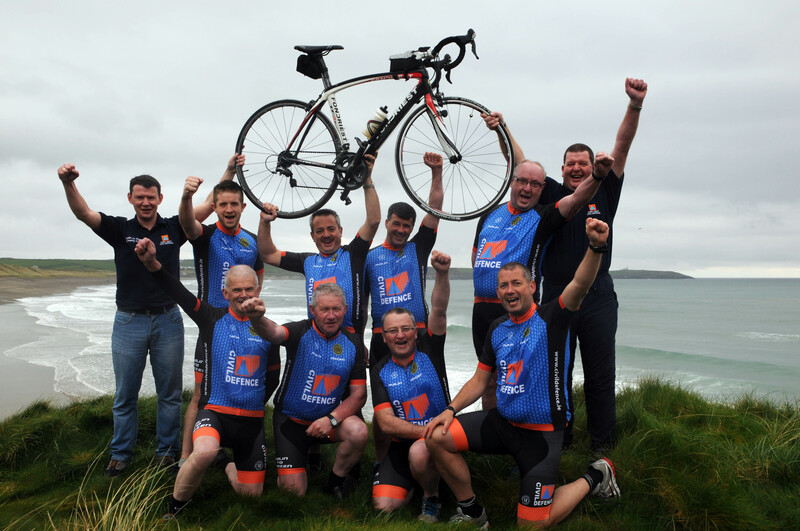 Ten members of Cork West Civil Defence will undertake a 644km four day cycle from Malin Head to Mizen Head from May 13-16, with all proceeds of the cycle going to Charity. The second beneficerie is the The Friends of Jamie Wall. Jamie who hails from Kilbrittain, was a budding young athlete who had represented Cork at Minor, Under 21 and Intermediate in both hurling and football. In the Carbery division he played for his own local club along with the Carbery senior team. A trainee teacher, at the tender age of 21, Jamie was struck down with a serious infection, which infected his Spinal Chord and has left Jamie paralysed. His determination in his rehabilation programme has seen him make good progress in adapting to his new way of life. The Friends of Jamie Wall has been set up to aid Jamie with his rehabilation. Day one will begin in Irelands most Northerly piont, Malin Head, 192 Kilomoters later with over 1,500 meters of climbing the team will enjoy a welcome rest in Sligo. Day two will be a flatter cycle and a shorter spin (135k) which will end in Athenry. 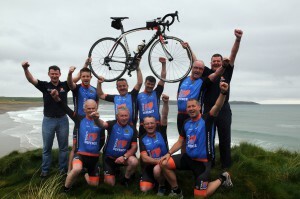 Day three will bring the team back into home soil with a 167 k cycle from Athenry to Malow. The final leg will from Mallow will pass through Skibbereen on route to Ireands most Southerly point, Mizen Head, a 150k cycle. The team of cyclists and support from Cork West Civil Defence are Garry Minihane, Denis O’Sullivan, Liam F. O’Regan, Michael Kirby, Shane Keohane, Niall Twomey, Steven Anderson, Don O’Sullivan, Des Quinn and Pat Fitzgerald. All cyclist have sponsor cards and if anyone would like information on the event or would like to make a donation please contact Garry Minihane (086) 8328394.